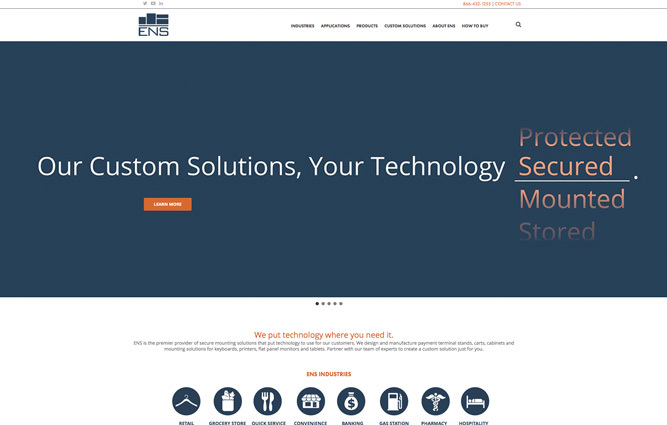 Headquartered in Burnsville, MN, Engineered Network Systems, LLC is a leading designer, manufacturer and supplier of products for mounting, storing, charging and securing point-of-sale technology. The company is the industry leader in payment terminal mounting solutions and mobile point-of-sale technology solutions and has a full range of products including flat panel mounts, payment terminal stands, cabinets, carts and workstations. The company’s products are marketed globally to the retail, grocery, financial, quick service restaurants, hospitality, medical and OEM markets. For more information about Engineered Network Systems, LLC, visit www.ens-co.com. At Guardian Capital Partners, contact Scott D. Evans.